Thank you for visiting our website. We are dedicated to delighting our clients. We will capture your wedding day memories and deliver amazing images that you will treasure for a lifetime. Password protected online gallery of all edited images. Great for sharing with friends & family. Unlimited pre-wedding consultations via phone and email. We can also create a customized collection to meet your own unique wedding day needs. If you are only interested in photography only coverage, we do offer “Simple Hourly Pricing” as well. Please schedule a free personal consultation to meet with us. We would love to discuss your wedding plans in more detail and create the perfect wedding package for you. We want to capture your precious wedding day memories so that you can enjoy and treasure them for a lifetime. Quality - We shoot with professional camera equipment & use premium lenses for the best quality images. Consistency - We capture beautiful images at all of our events. Affordable - We can create custom packages based on your budget and individual needs. Flexibility - We accept credit cards (Visa, Master Card and Discover). Payment plans available. Professional Tools - We use Adobe Photoshop 4 and Lightroom 3 to process all of your images. Shoot in RAW format - This captures the most rich & vibrant color and the most detail. Peace of Mind - Our experience and qualifications allow you to relax on your wedding day. Our staff speaks English, Spanish, and Czech. Greek translator can be provided, if needed. Se habla Español. Llama para una consulta personal & gratis. Our fine art books are handmade in Italy and truly an individual work of art. Each book is custom designed to resemble a magazine layout and goes through a state of the art digital offset printing process. Each book is then hand bound using a patented continuous page binding system with every page opening flat and having a perfect panoramic view. Each page is printed on fine art archival paper and is hand bound into a cover of your choice; genuine Italian leather, metal or crystal glance. We would be happy to meet with you and build your perfect wedding album based on your preferences. 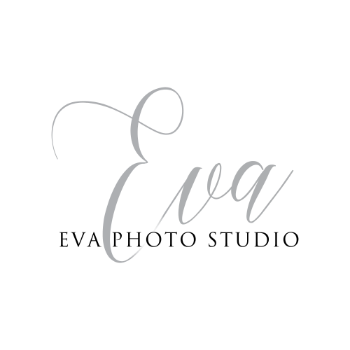 Eva Photo Studio is proud to offer the Precious Metal Series. These “Ultra High End” albums feature a complete custom line of precious metals (Platinum, Gold, White Gold and Silver) and can topped with fine jewelry and gems (Diamonds, Rubies, Sapphires and Emeralds). The Precious Metal Album is presented in its own custom presentation case. Like the album, it is completely customized to your needs, and is handcrafted with exotic woods by professionally skilled woodworkers.